Lower jaw ridge with very little bone support. Four mini implants placed with in hour without any elaborate surgery. 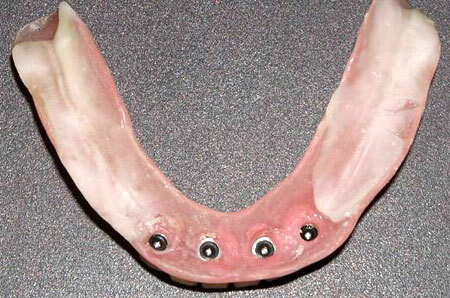 These retention caps are supposed to go into the denture. 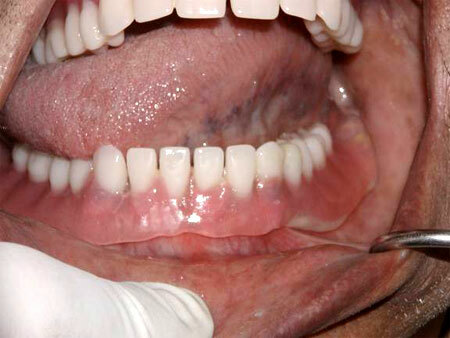 Denture snaps on the implants, upward movement of the tongue, denture does not move. Right full movement of tongue, denture does not move. 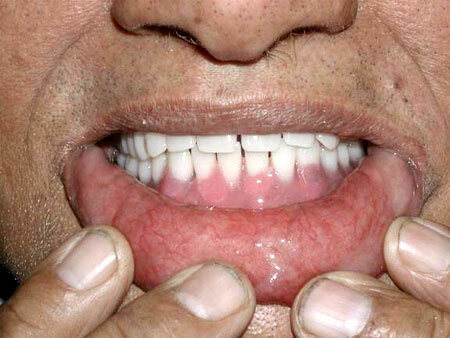 Left full movement of tongue, denture does not move. Forward full movement of tongue, denture does not move. 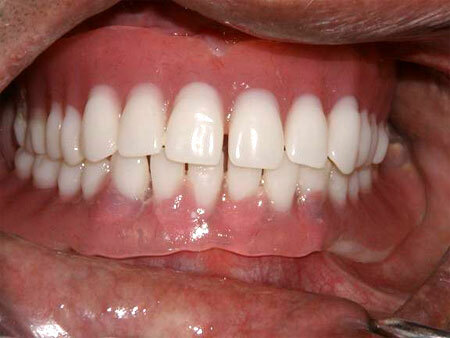 Fixed Denture as a look in mouth. Can be removed only with some force.